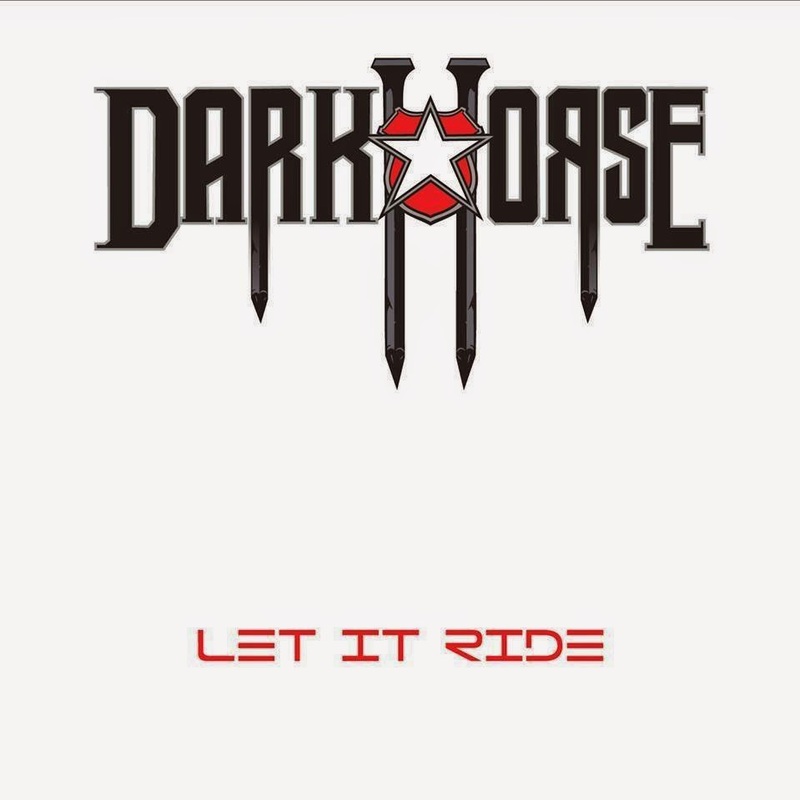 Rock & Metal 4 You: CD-Review: Darkhorse - "Let It Ride"
These days the debut album from newcomers Darkhorse hit the stores. Ok, "newcomer" seems not to be the right word, because if you take a closer look at the band line-up you'll see that no other than former Danger Danger vocalist Paul Laine founded this band and that makes everything more interesting. Laine was absent for 9 years. At least I haven't heard something new from him for so long and now he is back in the Rock circus with a group that is supposed to be a country rock band. If you are shocked now, then you can skip this review, but open-minded people and fans of the genre may find an insider tip here. So, how can I describe the music on "Let It Ride"? It's definitely a pop-rock-record, which combines elements of Melodic Rock, AOR and for sure: lot's of country. This mixture isn't new. Do you remember Bon Jovi's "Lost Highway" from 2008? It sounds exactly like that and could easily be the inofficial follow-up to this megaseller and this is not the only similarity to the New Jersey rockers. Generally, Bon Jovi is written all over this album. That begins with some melody-lines (for example in the chorus of the pretty cool opener "You Were The One I Waited For") and ends with the polished production from recent BJ records. But somehow Darkhorse can mange it to exude a certain lightness, which brings you in a really good and positive mood. It's a softer kind of music to relax, perfect for some long summer nights and if you imagine how the sun goes down and a tune like "In The Country" plays in the background then this album creates a special magic, which you can't escape. The mentioned song reminds me a bit at older singer-songwriter stuff from Gregg Fulkerson (R.I.P.) of Blue Tears by the way. If you need another song to dream and to forget your daily problems you can listen to the beautiful ballad "Goodbye". Furthermore the ultra catchy "Better Days" and the more rockin' title track "Let It Ride" are very good tracks to sing-along and are better than most of the stuff Bon Jovi delivered with "Lost Highway". But of course this album is also far away from being a masterpiece or a future classic. After five tracks I felt a bit supersaturated from all the country stuff, because songstructures and arrangements are often the same and so there isn't much tension on this album. The melodies are all nice and they hurt nobody, but after a couple of songs it leads to bordem. With tracks like "Heaven Tonight", "Nowhere Fast" and the ultra cheesy "What She Meant To Me" the fascination of "Let It Ride" gets a bit lost. I was very open minded when I started to listen to this album, but "What She Meant To Me" was truely enough for me. With that one Darkhorse scare off every Rocker and I can understand it if some of them stop listening to this band then. As I said above you've to be prepared that this album is more pop than rock, don't expect a country-metal act like Dezperadoz. Especially Metalheads, Hard Rockers and even Danger Danger die-hards won't have fun with this record. 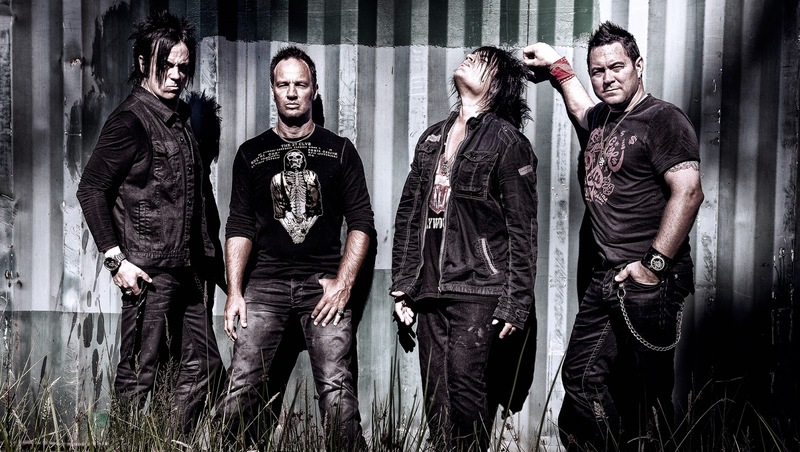 People who are into newer Bon Jovi stuff and the Melodic Rockers of you should give it a listen. Speaking about the band performance itself there isn't much to complain about, there are some really nice guitarsolos on here and Paul Laine has still such a charismatic and warm voice, which takes the songs to another level. He is in top form, as well as the whole band. They sound so tight that you could think they would play for ten years already. The polished production underlines the pop-rock direction and I would have liked to find some more edges in sound here and there, just something that keeps the listening experience intersting during the whole playtime. With "Let It Ride" it's the same like many other records: after a satisfying first half, the songmaterial gets a little bit weaker, because you've heard all the song ideas within the first five songs and after that there isn't much left to explore. Maybe the whole thing would have been more interesting with more balls in the sound. Nevertheless I've to admit that Darkhorse manage it very well to give you a feel good vibe and if you need an album which takes you away from everyday life this is an insider tip for you! I am confused. You make quite a few negative comments regarding this CD and yet you give it an 8/10 rating. You call it "pop rock", when it is more southern country rock. You claim that it will "scare off" every rocker, when in fact it has not. Fans of Paul Laine, during his solo and even D2 era, have shown to like it, and have posted their excitement of the songs and album as a whole. The most confusing part of your review is your posting it to the DH and PL page with a little happy face, like it is a great review. Now, I get that we all have our own opinions of all things in life, and you are entitled to yours. I suggest you venture outside of you comfort zone in regards to music, and learn a little more. There is a whole wide world of music out there to love and enjoy, Melodic/Metal/AOR is just one. Darkhorse crosses a few genres and it's fine to not like it, but at 26, you lack the life and musical experience one should have to review anything, of any sort, and be taken seriously. Yes I pointed out some negative things, but what is the problem with an 8/10 ? There are more positive things than negative things here and the negative aspects haven't so much weight here, so an 8/10 IS a good rating and means it is a good album to me. Maybe for you it is a masterpiece - then it's also alright. To me it is good. By the way "scare off every Rocker" was related to one single song only and that is "What She Meant to Me" and I think it is just fair to write to Metalheads (who also read this blog) that this album could be something they don't like, but that doesn't affect MY personal opinion on this record. And what is the problem with my age? Yes, I was still a baby in the 80's, but since I'm 12 years old I listen to everything of that era and have tons of CD's from that specific time at home. I'm also very interested in the bio of every band I'm into, so yes I'd say I did my "homework" and know what I'm talking about. I know some other young people who are writing reviews, why just people at a certain age are allowed to do it? I just show my opinion on things here and I don't pretend that everyone must share this opinion. 8 out of 10 is a very good rating, but it does not coincide with your words. While you say the review was mostly positive, it does not seem that way to a reader. You have more negative points then positive, so your high rating is confusing. 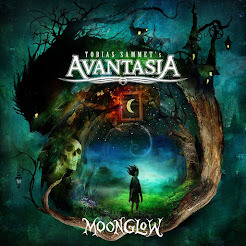 As for your age, there is nothing wrong with it, but your reviews fall to the side of metal/melodic rock and you are reviewing a southern country band, which you appear to not be aware of. You call it pop rock, which it is not at all. Reviewing music, or anything you like, is great but you should have a larger view of things. Food critics might have a favorite style of food.. French, Indian, Spanish... but they try them all in order to fully understand the flavors that each embody. So my point is, again, you are reviewing a COUNTRY album like it is an AOR/Melodic rock album, but call it pop. I never said people of any age should, or should not, review music, but your understanding regarding other genres of music gives you a limited view of the music world and industry as a whole. If you want to understand it more, listen to other genres. Listen to Spanish music and hear how the guitar differs from Norwegian folk music. Listen to music from ZYDECO and hear how the fiddle and accordion makes it music to dance to. In order to really understand the music you love, you should understand the nuances of the style, why they do what they do, why they are so good. THAT is my point. You lack a fundamental understanding of what it takes to make music, you just know what you like, and what you like it a small box in the middle of an ocean of music. I never said the album is a masterpiece and I did say that everyone is allowed their opinion, but do not act like you were posting a great review when in fact the words battle the rating you gave it. You use the phrase "ultra cheesy" and the word "boredom", those are not positive and they overshadow any little but of good rating you gave them. Again, my point is, if you are going to review an album, review it based on the genre it is IN not the genre you like... you cannot compare apples to oranges.